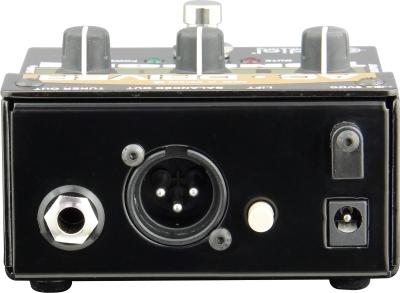 Compact acoustic instrument preamp allows users to connect to longer cables or pedal chains without signal loss or degradation. 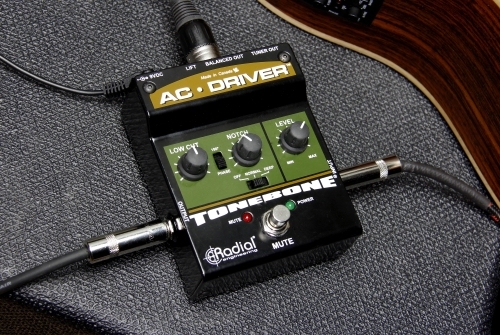 Radial Engineering announces the AC-Driver from its Tonebone line is now shipping. The AC-Driver is a compact acoustic instrument preamp designed for use on stage, with helpful features to streamline your performance. Radial’s Class-A buffer circuit ensures audio quality and allows users to connect to longer cables or pedal chains without signal loss or degradation. A 1/4-inch amp output provides a way to monitor onstage, as well as a balanced line to feed the PA system or a powered speaker for the audience. To tune silently or switch between instruments without causing clicking or popping, simply hit the mute footswitch to silence everything but the tuner output on the AC-Driver. This makes the AC-Driver perfect for live performances, especially when there’s not a dedicated sound engineer or for shows where users want more control over their sound than a typical DI box might provide. The AC-Driver also includes an adjustable low cut filter to remove excessive low-frequency content, along with feedback-reducing features. A 180° phase adjustment switch allows users to correct feedback build-up from hot spots on stage, while a notch filter helps target and remove specific frequencies that are causing problems. The AC-Driver is powered using 9V adapters or multi-pedal power bricks, and its 14-gauge steel chassis and military grade circuit board ensure that it will endure the most punishing touring environments.